Calgary Carpet Cleaning Starting at $99! Mango Maids Carpet Cleaning service has the brand new equipment and latest technology that yields BETTER results! As a green company the environment comes first. With our advanced high quality cleaning service will dig deep below the surface removing all stains and odors without leaving any residue. We feel that with the proper cleaning techniques and using the advanced equipment, our service set the standard for carpet cleaning quality bringing your carpets back to life and leaving you with a healthier and cleaner working environment. Carpet is a great decorating element. Warmer and softer than hardwood that’s why most homes and companies prefer to have it installed. But more often than not, lots of foreign materials are caught inside this beautiful material. A lot of insecticides, bacteria, allergens, dust mite, mold and the likes that are residing in your carpet will surely shock you. Spills, soil, dirt, pet accidents brought in can easily get into the fiber of your carpet. In Calgary, you can expect wide selections of quality carpet cleaning services, rug washing and cleaning, dry and deep steam cleaning and floor care, tile grout cleaning, pet odor removal, fire and water damage renovation companies to handle your carpets rugs and upholstery in the best way possible. With the vigorous training of our rug and carpet cleaners, excellent knowledge in applying chemicals, and technical know-how on carpet fibers, MANGO MAIDS are the perfect carpet cleaning service to hire! Mango Maids Carpet Cleaning in Calgary has the skills and equipments, and most importantly we know the local area of Calgary, Alberta for a quick and affordable carpet cleaning job. Mango Maids only uses hypo-allergenic, environmental-friendly and non-toxic products for your carpet, your safety and most especially, your family. We will keep your carpet visually pleasing, long-lasting and totally clean. * Our cleaners who is certified and fully trained follow the warranty requirements and recommendation of the Manufactures for stain-resistant carpeting. * Our carpet cleaning service assures you that we will pay special attention to spots, pet-stained and odor – using the suitable treatment that is best for your carpet. * Mango Maids uses the most advanced steam carpet cleaning equipments which will remove ground-in soil, quick dry and revive your carpets and rugs beautiful appearance. If you have any questions, please contact us, also view our testimonials from satisfied customers. 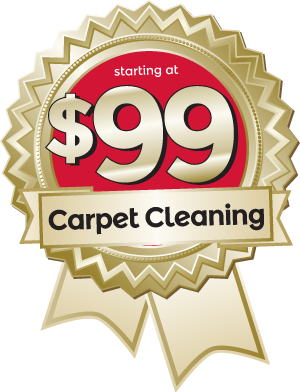 Carpet Cleaning starting at $99! Take advantage of our limited time offer – fill out your information below and one of our customer service representatives will be in touch with you shortyl! Take advantage of our limited time offer – fill out your information below and one of our customer service representatives will be in touch with you shortly!